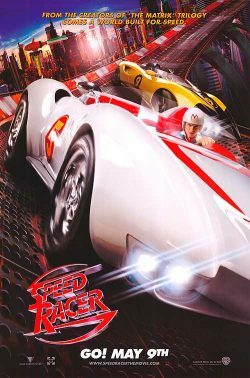 Based on the 1960s ground-breaking Japanese anime and manga series of the same name, 2008 saw the release of the live-action film adaptation of Speed Racer. The American action-comedy didn’t open with great reviews, but anime fans have long debated the film and it is now considered an “underrated” film. 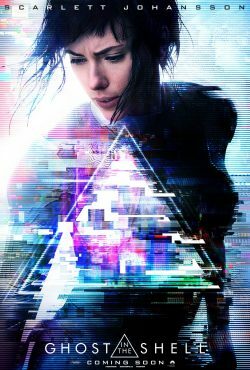 Written and directed by The Wachowski Brothers, famed for the Matrix series and V for Vendetta, it scored a great cast. Starring Emile Hirsch, Christina Ricci, Matthew Fox, John Goodman, Susan Sarandon and Roger Allam, the plot revolves around an 18-year-old race-car chasing his (allegedly) deceased brother’s career. Despite its problems, Speed Racer has plenty to admire, most notably the fantastic shots and editing – an IGN praised the film’s “exciting, brilliantly-conceived races, primary-colour characterizations” and “irresistible sense of fun”. It appears the filmmakers played up to its origins’ manga-animated style, crafting it into a brilliantly visual live-action cartoon. Arguably the first Hollywood manga adaptation to cast big leads, Edge of Tomorrow saw Tom Cruise and Emily Blunt battle alien enemies at the helm of the 2014 action movie. Its origins started back in 2004, with Hiroshi Sakurazaka’s novel of a future Earth-based war against an alien race called Mimics; the story follows a soldier who becomes trapped in a time-loop, dying and regenerating the following day, and so on-and-on. A manga adaptation was then written by Ryōsuke Takeuchi and illustrated by Takeshi Obata, in between January and May 2014, and a graphic novel adaptation was released in North America in May 2014. 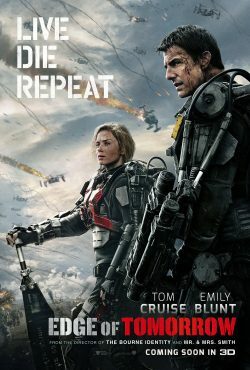 Edge of Tomorrow, which was also marketed under its original title ‘All You Need Is Kill’, and its tagline “Live, Die, Repeat”, was definitely not a straight adaptation, but it takes the concept and characters from the book and added other elements and details to create its own similar story. Compelling, gripping and funny at times, Edge of Tomorrow was praised by critics during its release. The film is a great standalone production, regardless of its history!